When conducting a job search, it is important to be aware of the important documents needed to start a new job. 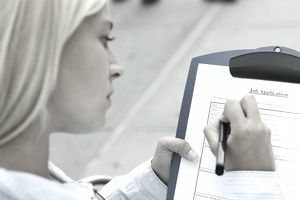 Having all the employment forms that companies may require will allow you to be prepared for an interview, to be hired, and ready to start your new job. You’ll want this whole process to go as smoothly as possible, and the last thing you want is a glitch such as missing documentation that could stall the hiring process. The employment forms you may need include job applications, W-2 forms, an I-9 form, and a W-4 form. Some forms are available from the companies you’re applying to, some you may already have, and others are available online or need to be ordered. If you don't have the original documentation that you’ll need before an employer can put you on the payroll, get your copies now. That way you'll be ready to start work immediately once you get a job offer. The following documents may be required for your future employment. Learn more about each one and how you can get your forms right away. Make copies and have them ready for each job opportunity you wish to pursue. Many employers require prospective candidates to fill out job applications, so they have documentation of relevant experience and education. This applies to all levels of employment from entry-level jobs to high-level professional positions. Applicants will need to provide details and dates of past employment and education, as well as of credentials and certifications. Job application forms come from the companies themselves. In some cases, you’ll need to go directly to the company, but many companies offer their job application forms online or allow you to complete the application online. The application form may be all you need to apply, but at some point in the hiring process, you may be required to provide college transcripts or other proof of your degree. So, thinking ahead, it’s a good idea to have copies of those documents on hand, as well. Prospective employers may ask for copies of your W-2 forms to verify your previous compensation prior to making a job offer. This may present you with an uncomfortable situation and it may not always be in your best interest to comply or may not be permitted by law. Find out if an employer can ask you for your W-2, whether it makes sense to comply, and how to obtain copies of your W-2 forms if you don't have them. The W-4 form is completed by an employee so the employer can withhold the correct amount of federal income tax from your pay. When you are hired for a new job, you will be required to complete a W-4 form to let your employer know how much tax to withhold. The employer may provide you with a W-4 or you can get one online and have it ready to go. When you’re hired for a new job, you’ll be required to prove that you’re legally entitled to work in the United States. You’ll need to complete an Employment Eligibility Verification form (I-9 Form) and the employer will keep the form on file. Please note that you’ll also need to produce original documentation that verifies your eligibility to work. You’ll need a photo ID such as a passport, driver's license, or state ID, as well as a document proving you are in the U.S. legally, such as an original or notarized birth certificate and/or social security card. The E-verify system allows employers to document and confirm the eligibility of employees to work in the United States by comparing the I-9 (Employment Eligibility Form) information supplied by all workers to Social Security Administration, Homeland Security, and Department of State records. The employer will handle this once you’ve presented the proper documentation. Replace a lost passport by contacting the National Passport Information Center. To replace a Social Security card, you’ll need to fill out an application online or provide certain documentation at your local Social Security office. You can order copies of past W-2 forms from the IRS or previous employers. If you can’t find your driver's license, you’ll need to check with your state Department of Motor Vehicles for instructions on how to apply for a replacement license. If you don’t have your college transcripts, you can request copies of your transcript from the Registrar's Office at your college or university. This can be done in person, by phone, or online.